Rabbi Rick Jacobs, president of Union for Reform Judaism, joins American Jewish leaders in urging PM to cancel Congress speech. 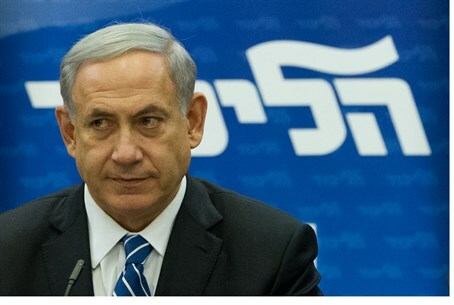 American Jewish pressure on Prime Minister Binyamin Netanyahu to cancel his upcoming speech before a joint session of US Congress has begun to build. A number of Jewish leaders have recently spoken out against the March 3 speech, arguing that the controversy it has sparked on Capitol Hill and in the media detracts from the real issue at hand - preventing Iran from becoming a nuclear power. Rabbi Rick Jacobs, president of the Union for Reform Judaism, the largest Jewish denomination in the US, called the speech a "bad idea." In an interview with The Jewish Daily Forward on Friday, Jacobs said it would "ill-advised" for Netanyahu to carry out the speech in light of the fact it would take place two weeks before Israeli elections and it had been organized without the knowledge of the White House. Jacobs stressed that his call for Netanyahu to cancel the speech is not because he does not support the Prime Minister on the issue at hand. Rather, he says, he does not believe the speech will ensure their shared goal of preventing an Iranian deal that endangers the security of Israel. He also noted that he fears the brouhaha surrounding the speech could make Israel a partisan issue in American politics. Seymour Reich, a former chairman of the Conference of Presidents of Major Jewish American Organizations, echoed Jacob's call for Netanyahu to cancel the speech. He should “bite the bullet and postpone his address," Reich stated, adding that the speech has not only split Congress, but is dividing the American Jewish community as well. Earlier, Abraham Foxman, the national director of the Anti-Defamation League (ADL), also urged the Israeli Prime Minister to reconsider and cancel his speech and visit. “It’s a tragedy of unintended consequences,” Foxman said to the Forward, regarding the political uproar that has been created since the announcement of the speech. "This whole thing [has turned] into a circus," Foxman added, arguing that to continue would be counter-productive.